No largescale evil can be visited upon humanity, by humanity, without the complicity of bystanders. The Holocaust took place in broad daylight. Millions of people watched it unfold and told themselves they saw nothing as they turned away from its eye watering stench. It began with ideology and ended only when the Nazi war machine ground to a halt and Hitler’s Third Reich was destroyed. Statistics reveal that the chances of you being a bystander under similar circumstances – one that does nothing as evil prevails – are extremely high. Why? Because moral courage is usually no match for the will to survive. But there are those for whom moral courage does triumph. They do not turn away; they run towards and scream, for this I will not stand! Marion Pritchard (nee: van Binsbergen), who passed away on December 11th 2016, at the age of 96, was one such person. 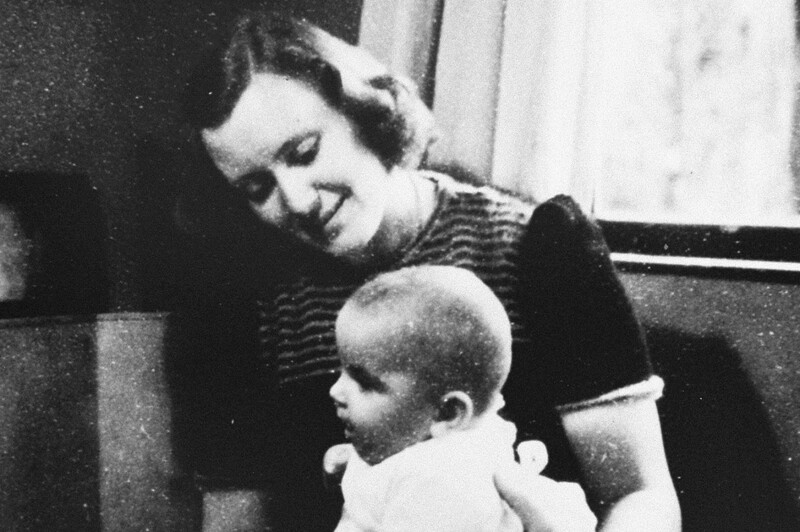 In the Spring of 1942 in Amsterdam, Holland, Marion – then just 22 years old – witnessed the brutal deportation of Jewish children from a local children’s home. She was paralysed with fear as she watched German Soldiers seize the children by their limbs and hair and throw into the back of a truck. Her fear compounded as she saw two women attempt to intervene, only to be thrown into the back of the truck as well. She made a vow there and then that she would defy the Nazi occupiers of her country and commit her time, resources and very life to helping Jews. Between that Spring day and the end of the war, Marion Pritchard helped save the lives of 150 people, most of whom were children. The focus of Marion’s resistance work was finding hiding places for Jewish children, as well as providing food, medicine, ration cards and false identification papers. When praised for her bravery, she was quick to point out that true bravery lay not with her but with the Jewish mothers and fathers who were willing to relinquish their children in the hope that they might survive, despite the knowledge they may never see them again. Such modesty was typical of Marion, and while it is true that the sacrifice made by countless Jewish Parents during the war, was of the highest order, it diminishes not the incalculable good Marion Pritchard did, nor the bravery it took to do it. Marion was from a small, close-knit family, consisting of her Father, a Liberal Judge; her mother, a homemaker; and her younger brother, who was a child during the war. By all accounts, her father was a lovely man: upright and strong and a vanguard for social justice. Sadly, he died prematurely from cancer 10 months after the war began. Marion believed his illness and early death were the direct result of seeing his beloved Dutch legal system replaced by Nazi ideology, which he found morally repulsive. Marion described her mother as lucky and gutsy and recalled how, towards the end of the war, German Soldiers arrived at the house looking to steal anything of use; noticing a stack of red, white and blue cloth, they asked her what it was for, to which she replied, “I am making a Union Jack to hang out the window when you SOB’s get out of here.” This and other stories about her mother and father make it clear that Marion was a beautiful combination of them both. Marion had a happy childhood, and remembered it with a great deal of pleasure. Her response to the Nazi occupation and her willingness to rescue others were, according to her, a direct result of her upbringing. Her parents showed her respect and consideration from the time of her birth, and taught her to treat other people the same way. Further, they taught her to put all her feelings into words, both positive and negative and allowed no room for prejudice or narrow-mindedness. Marion describes how she was brought up to tell the truth and obey secular law and the 10 commandments; yet, by the end of the war in 1945, she had lied, stolen, cheated, deceived, kidnapped and killed. A moral shift such as this, is typical of resistance work, which, by its very nature, operates outside the bounds of civil law and standard ethical behaviour. Along with the will to survive, the inability to suspend one’s perilously held value system, and live as a criminal – deliberately violating legal and moral codes – is likely a common reason many people do nothing when evil prevails under a totalitarian regime. In an interview given for the Shoah Foundation in 1998, Marion recounted the night she took a human life to protect the children in her care. In 1943 she was sheltering a Jewish father and his 3 children, and had been doing so for the past year. On the evening in question, 3 Nazi Officers and a Dutch Nazi Policeman came to the house – no doubt tipped off by a neighbour. They searched the house but did not find the hiding place of the father and his children – which was under the floorboards of the lounge. Once they left, Marion let the children out, while the father remained in the hiding place to continue working on his Doctoral Thesis; soon afterwards, the Dutch Policeman returned on his own, entering through an unlocked door. Fearing he would discover the children in the next room, Marion – not waiting for the Policeman to say or do anything – shot and killed him. She goes on to recount how a friend helped her dispose of the body – in the casket of a man due for burial the next day – and admits that she killed on instinct, as the result of perceived, as opposed to actual, threat. It is sobering to hear her account of that awful night, and to think of the impact taking another life must have had on her psyche. But that is the harsh reality of resisting a phenomenon like the Nazi regime. Rather than preserve her previously held moral code, she chose instead to sacrifice it and stand between the children in her care and the evil that sought to destroy them. Her decision to take the Policeman’s life and hide his remains falls within the realm of consequentialist moral reasoning, which locates morality in the outcome, or consequence, of an action. The consequence of killing the policeman, was the saving of the lives of 3 children – all of whom are alive today; therefore, it can be argued, it was the right thing to do. This is opposed to categorical moral reasoning, which locates morality in certain principles or laws; and would say of the case in question, killing is always wrong, regardless of the consequences. It is a difficult fact, proven by history, that for resistance work to be effective, consequential moral reasoning is necessary. But, this is where morality slips and turns. Most people would find it difficult, if not impossible, to overcome their moral conditioning in order to become effective resistance workers; yet, it is the inability to tolerate breaches in moral behaviour that often lead people to resistance work in the first place – this is most certainly true of Marion Pritchard. Further, I hardly need to point out that consequentialist moral reasoning often forms the basis of the gross ideological imperative of the end justifies the means, used as a mantra by perpetrators of atrocities. To be sure, such thinking is a perversion, but where is the line to be drawn if we rely on the ‘outcome’ for our morality, rather than categorical truths? The line of course becomes ethical grey zone, that, with its attractive, yet lethal moral relativism, becomes ever wider. The true evil of a totalitarian state, like that of Nazi Germany, is not that it made victims of some and passive bystanders of others – to say nothing of the perpetrators it fashioned; rather, that it made all in its own image; that it annihilated morality in the categorical sense and plunged all into darkness. Very few found their way in such darkness, which is why people like Marion Pritchard are worthy of our greatest respect. She saved lives even as the darkness consumed her. After the war, Marion continued to serve humanity by working in displaced person’s camps and later became a psychoanalyst. In 1981 she received the honour of Righteous Among the Nations from Yad Vashem in Jerusalem, and in 1996, the Wallenberg Medal & Humanitarian Award from the University of Michigan, and in 2009, the Medal of Valor from the Simon Wiesenthal Centre in Los Angeles. Thanks to the Shoah Foundation there, exists a 3 hour interview with Marion, wherein she recounts her life before, during and after the war. Her matter of fact, unassuming way of speaking is engaging and what she says is as riveting as it is invaluable. If history teaches us anything, it is that we are never as far from living in a totalitarian state as we might think. The alarming truth is that the ideology that gave birth to the Nazi regime still exists in various degrees and forms; and those who hold and propagate such beliefs continue to seek power. If such evil should rise in our midst, may Marion Prichard’s life be a lesson for us all.